Regardless of your economic status, creating an estate plan is a wise thing to do. For those who have established significant wealth for themselves and their families, it is certainly crucial that you have a plan. One way to provide protection for your family’s future is by creating a revocable family trust. Your estate planning attorney can help you with this task. 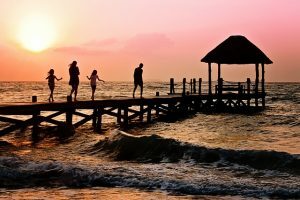 What is family wealth planning? When clients are seeking to preserve their financial wealth, wills, trusts, powers of attorney and other planning strategies can be used for family wealth planning. These, and other tools, can be used to create a comprehensive plan with immeasurable benefits. While there are many different ways to protect your family wealth, a revocable family trust is one that you should definitely consider. A revocable family trust is extremely flexible and effective in family wealth planning. Property transferred to a well-drafted revocable family trust can have remarkable benefits. A family trust is useful to those seeking to protect their families from needless probate fees, attorney’s fees, court costs and federal estate taxes. However, it can also be useful in providing substantial protection for your family, notwithstanding of the value of your estate. A revocable family trust can also protect spouses in cases of remarriage when one spouse has died. It can also provide greater protection for children and grandchildren, as well. A trust is basically an agreement between three specific parties: the grantor or owner of the assets in the trust, the trustee, and the beneficiary. The trustee is the individual to whom the grantor transfers legal title of the trust property. The beneficiary is the one who will eventually receive the trust property after certain conditions have been met. A trustee can be a relative, friend, attorney or accountant. There are also certain organizations that offer trust services, including supplying trustees to manage the trust. Depending on the circumstances, an amendment may be the best option. For instance, when you get married or have a new baby, or when you have a significant change in your trust property. In those situations an amendment will likely be sufficient. If your beneficiaries change because someone has passed away or you change your mind about who you want to inherit a certain piece of property, then an amendment is a good choice. While including amendments to an existing trust will often be the easiest way to modify your trust, amendments can get a little confusing. One way to avoid the potential confusion is to create a restatement of an existing trust, without revoking the trust entirely. A restatement allows you to include the required changes in the terms of the trust, while maintaining the original date of the trust. That means, the trust property that was already transferred to the trust will not need to be transferred again. With a restatement, the new trust can include a declaration that it is a restatement of the original trust. The trust terms should also indicate that the original terms remain unchanged, with the exception of a few specific terms that have been added. Irrevocable trusts are very different because their terms cannot be changed once the trust has been created and executed. Nevertheless, there are still some great benefits to using this particular type of trust. For example, assets that are included in an irrevocable trust are essentially protected from estate taxes, probate court and your creditors. So, while you must lose control of your property when you transfer it to an irrevocable trust, you gain favorable tax consequences and other protections. If you have questions regarding the revocable family trust, or any other estate planning matters, contact Gaughan & Connealy for a consultation either online or by calling us at (913) 262-2000.